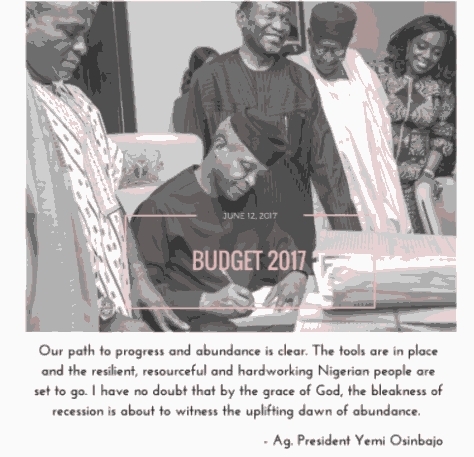 Finally, Acting President of Nigeria, Yemi Osinbanjo has signed the anticipating 2017 budget last night, 12th of June, 2017 after one month the budget was passed. After the acting president, Professor Yemi Osinbanjo signed the budget, he revealed the reason why the 2017 Appropriation Bill was delayed. 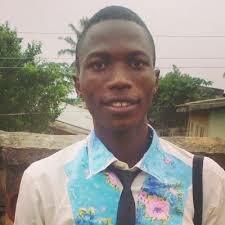 He stated that the main reason behind it was the short disagreement between the executive and the National Assembly. “The final presentation and the signing of the budget has been considerably delayed.” “This was largely due to disagreements we had about the changes introduced to our 2017 Budget proposals by the National Assembly”. He said that the disagreement between the Executive and the NASS has been resolved and the National Assembly has promised to reinstate budgetary allocations for important executive projects. When he was signing the 2017 budget into the law yesterday, Prof. Yemi Osinbanjo said the federal government of Nigeria has agreed to submit the 2018 budget to National Assembly by October, this year and, it will be signed into the law by December, this year. (VIDEO) Want your ex CRAWLING back to you…?